Joel Feder March 28, 2019 Comment Now! Both the 8-Series coupe and convertible have officially debuted, and photos of the M8 coupe were leaked onto the Internet. 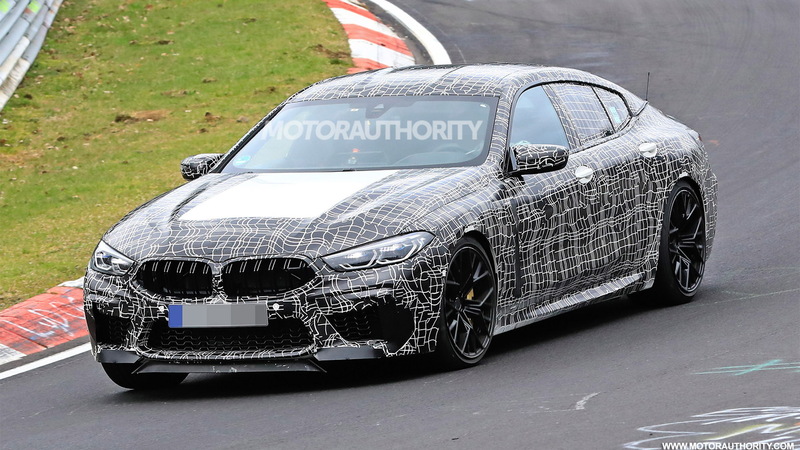 The 8-Series Gran Coupe has been spotted testing on public roads, and now its more powerful sibling, the M8 Gran Coupe, has been caught testing as well. 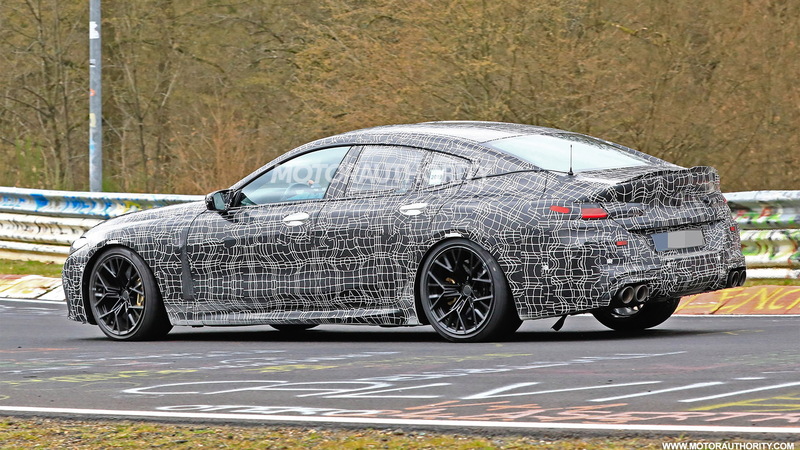 While the word coupe is in the name, the M8 Gran Coupe is actually a fastback sedan with a hatch. Expect the car to debut late in 2019 or early 2020 and to go on sale shortly thereafter. Set to replace the M6 Gran Coupe in the lineup, it will square off with the Audi RS 7, Mercedes-AMG GT 4-Door Coupe, and Porsche Panamera. 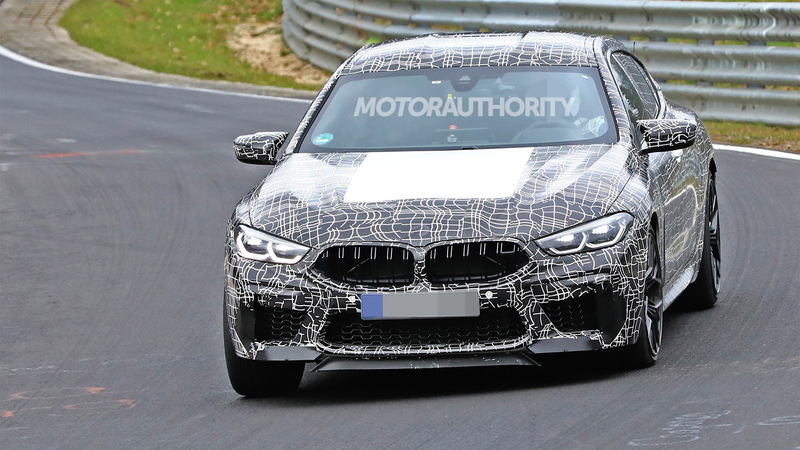 Previewed last March by the M8 Gran Coupe concept, the super sedan will sit low and wide and feature massive air intakes up front to feed the turbocharged powertrain under its hood. Said powertrain will be a 4.4-liter twin-turbocharged V-8 making about 600 horsepower and 550 pound-feet of torque. Expect even more in Competition spec. An 8-speed automatic transmission will shuffle the power through a sophisticated all-wheel-drive system developed by the M division. Big brakes will hide behind the large wheels, and carbon-ceramic rotors will likely be on the options list. 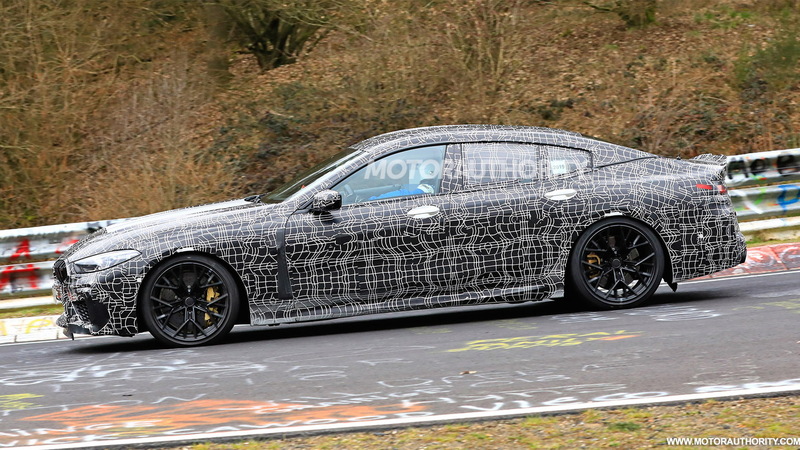 Inside, the M8 Gran Coupe will be standard BMW fare with a sporty twist from the M department. Expect sport seats, an M steering wheel, lots of M badges, the latest M gear selector, and hopefully the more traditional round gauge cluster design. Underpinning the entire 8-Series lineup is the CLAR modular platform with multi-material construction that debuted in the 2016 7-Series. 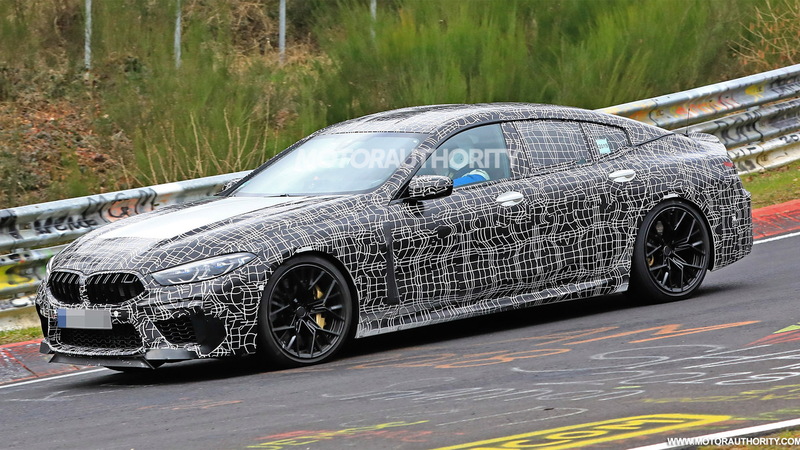 Some carbon fiber bits in the structure should help keep weight down, but the 8-Series Gran Coupe will likely still be a porker once it hits the scales. The 850i coupe weighs in at a not so light 4,478 pounds, and the Gran Coupe will certainly weigh more. Expect plenty of suspension bits to be upgraded over the more pedestrian 8-Series models, including larger anti-roll bars to help keep the body from tripping over itself. Extra bracing, both underneath the M8 Gran Coupe and under its hood, is a given to keep the structure from flexing during hard cornering. It's too early to talk pricing, but expect a starting point north of $150,000.